AAEON’s UP Core is an affordable and compact Intel Atom x5-Z8350 based board that was launched last year on Kickstarter for 69 Euros and up. 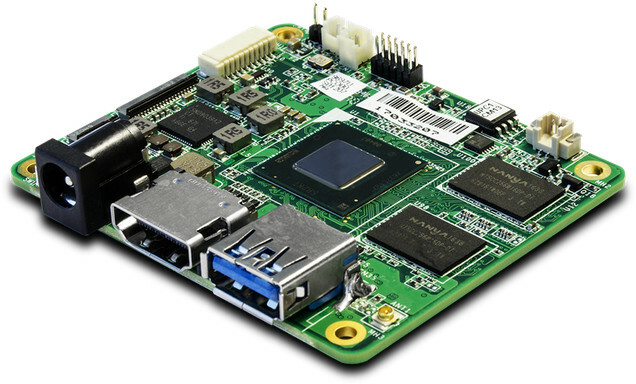 The company has now integrated the board into at least one of their product with UPC-GWS01, a tiny IoT gateway with WiFi and Bluetooth connectivity, as well as support for optional 3G/4G LTE connectivity via a mini PCIe slot. A carrier board for UP Core also added Ethernet and a DB9 serial port to the setup. The device supports Windows 10, Linux (UbiLinux, Ubuntu, Yocto), and Android 6.0. One advantage of getting a products based on a community board is that you benefit from the public hardware and software documentation made available in the Wiki, as well as the support forums. 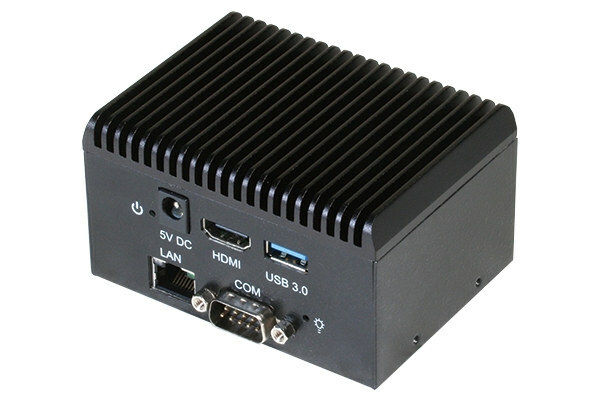 While UPC-GWS01 is promoted as a “Tiny IoT gateway system”, the HDMI port means it could also be used for multimedia applications where 2D/3D graphics and/or video playback are required such as digital signage. Four models are currently available with different RAM and storage configuration, all selling with an external WiFi antenna. The 5V/4A power supply is sold separately as an option. Pricing has not been made public, so you’d have to request a quote via the product page if you are interested in such solution. Sadly not even a single sata? The x5-Z83x0 Atoms have neither SATA nor network and just a single PCIe Gen2 lane (occupied by a PCIe attached Gigabit Ethernet adapter here). Seems now finally intel succeeded in confusing me to a state where I cant tell a cpu apart from a piece of crap… Whatever. Why would anyone use such a cpu? To run Windows on a uC?